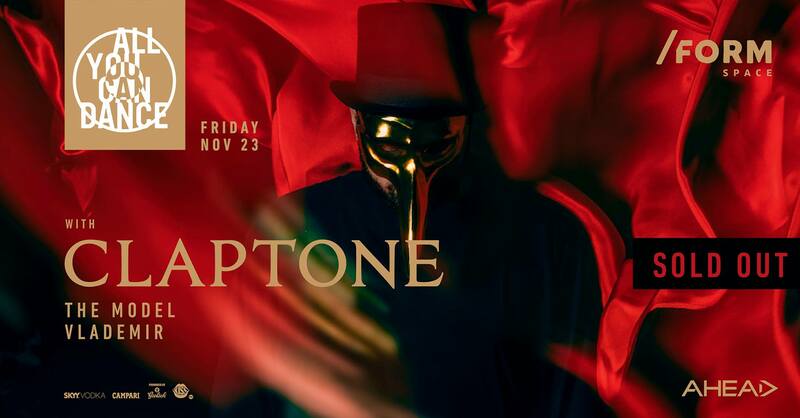 Friday, 23 November, Claptone will light up our venue once more! In terms of studio work in the last year, Claptone has served up plenty of stylish remixes of huge and influential artists like Depeche Mode, New Order, Disclosure, Faithless, Bastille and Hurts, all of which show how in demand he is by those who know. His remix of Gorillaz was picked as the best of a star studded selection, and his track The Drums saw endless BBC Radio 1 support. It was one of the tracks of the summer at festivals around the world as well as across Ibiza. All this lead to him being invited by the BBC to perform live to the whole UK during the legendary BBC R1 Ibiza Weekender, and comes off the back of Claptone winning Best House Artist for the 3rd year in a row at the Ibiza DJ Awards, and scoring the highest placed house DJ position in DJ Mag’s celebrated Top 100 DJs Poll (nextto being the second highest ‘underground’ artist in the same poll, after Carl Cox).